The Board of Control for Cricket in India (BCCI) on 12 August announced the squad for the two-match T20 International series against the West Indies to be played at Central Broward Regional Park in Florida. The Mahendra Singh Dhoni-led team is relatively the same which played the three T20Is against Zimbabwe in June. The matches will be played on 27 and 28. "The All-India senior selection committee has picked the Indian cricket team for the two T20 International matches against the West Indies to be played on 27 and 28 August at Central Broward Regional Park, Fort Lauderdale, US," BCCI said in a statement. The Test team led by Virat Kohli is currently taking on the Caribbean side in a four-match series, which India lead 1-0 after winning the first match at Antigua before drawing the second Test at Jamaica. The third match is currently underway at St Lucia while the fourth game will be played from 18 August at Port of Spain. 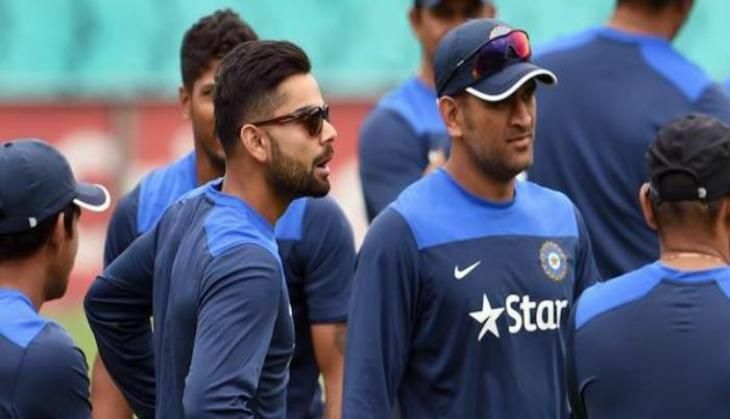 Indian squad: Mahendra Singh Dhoni (c/wk), Rohit Sharma, Shikhar Dhawan, Virat Kohli, Ajinkya Rahane, KL Rahul, Ravindra Jadeja, Ravichandran Ashwin, Jasprit Bumrah, Mohammed Shami, Bhuvneshwar Kumar, Umesh Yadav, Amit Mishra, Stuart Binny.